Candace Kearns Read is uniquely qualified to help you with your writing project, be it a screenplay, book, short story or essay. She has over 25 years of experience helping writers develop their stories into meaningful and compelling writing, and has helped thousands of writers conceptualize, draft, revise and polish their work to achieve their writing goals. We all have a great story to tell, and a great way to tell it. Candace will help you find that story and shape it into a powerful and marketable work. 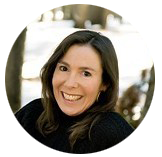 Through a combination of emails, phone calls, and in-person meetings or Skype calls, Candace will work as your coach and consultant through all stages of the writing process. Candace’s consulting services vary depending on the needs of the writer, and can be adapted to suit your schedule. Billing is $80.00 an hour, with an average pace of one to two billing hours per week. This includes phone calls, Skype or in-person meetings, reading and critiques, and includes supplemental reading and writing assignments and deadlines. To schedule your free initial consultation, please contact Candace at candacekearnsread@gmail.com or feel free to call her at (303) 877-3941.